Having hopefully made clear by now that the idea of a separate style known as "Military Krav Maga" is only a myth, I would like to review some of the differences between Krav Maga training as used by the military and Krav Maga training outside a regular military program. Most if not all of these points have already been covered in Military Krav Maga. There is no difference in specific techniques. A knife block, an M – 16 disarm, a punch; are all the same, but there is a difference in training and sometimes a difference in application, although these differences are not always and not only along the dividing lines of Military/Civilian. Military Training – As should be obvious to all the main focus of any modern military is weapons. Military weapons, tactics, intelligence, policies and training change from war to war. Even World Wars one and two were vastly different and today's wars are so hi tech that no soldier from wars past could have even imagined them. The brilliant military formations and tactics of the Romans are relegated to the history books. The spear, the bow and arrow are only for sport or museums. The only constant is the human fighting spirit of the individual; just about everything else has changed. What distinguishes the way Krav Maga is taught in the military is the constraints and limitation of time. There is not much time available for this portion of training; a soldier has a great many other tasks he must master in his basic training. Only the most elite units will experience any meaningful hand to hand combat training. The Krav Maga training in the military will focus less on technique and more on developing the ability to function under stress and fatigue. There will be a great deal of running, push ups and aggressiveness building. So a military Krav Maga class will look and feel somewhat different than civilian class; you may begin with a long run, come back and do many push-ups and then you will hit the bag while others are hitting you, and then when you feel you are out of gas you will have an all out grappling fight. But when at a seminar someone says, "Show me a military Krav Maga technique", what can I say? – Go run around the town for two hours, up hills and over obstacles, come back and do 100 push ups while I kick you and then fight the biggest guy in the room? That would be military style Krav Maga training but there are no specific military Krav Maga techniques. The influence of war and terrorism penetrates and colors all aspects of Israeli life and culture, and certainly Krav Maga. Part of all training in the IDF is to build up the man, the individual, to cope with the horrors and pressures of war and terrorism. All Krav Maga training, civilian and military includes this element. Our "Civilian" Krav Maga is very military in its focus. We eliminate any fancy techniques, we cut out all unnecessary motions, we simplify techniques to the bare minimum, and we don't waste time. Although a light atmosphere helps keep everyone happy, we never lose focus. We know why we are training. No one is interested in tournaments or trophies. Ranks and belts are nothing more than a motivation factor and many of our students don’t' even bother with rank. Ego has no place in our training. The "teacher" is merely the guide but the students know they can challenge and question any technique (in a respectful way of course), we are all here to learn. Many of our techniques, modifications and improvements came about due to questions from students. No one is above anyone else. As one of our students, Bryan Ward, a police officer in New Zealand and now a certified IKI instructor, pointed out, there is no real difference between police, civilian and military Krav Maga, it is just that one is protect/one is restraint/one is incapacitate. I.e. the difference is how we finish off the situation. This has always been part of our training but we just word it differently. I will often say to our students, "Now if it is a friend who got drunk we don't want to kill him, so we restrain him, but if it is a terrorist who came to kill – we finish him off as such….". "Military Krav Maga" sounds great, and is sure to bring potential students in the door, lets' just be careful not to buy into our hype too much. Lets' keep it real and never forget our ultimate goal – to get home safely. Join Israeli Krav International "On Line"
"Israel, a Nation of Warriors"
With the establishment of the modern state of Israel in 1948, the world saw a new Jew arise from the ashes of the Holocaust and from millennium of persecution in Arab lands. From the four corners of the earth, the Jewish people, the nation of Israel, returned home. The "Dry Bones" came to life creating a democratic state and a powerful military. But this was not a new Jew at all. It was just the old Jew getting up from the ruins of his destroyed life in the exile, dusting himself off and returning home. Much has been written about Jewish history but rarely has the Fighting History of the Jewish people been told. Known as the "People of the Book" few know the age-old fighting spirit of this nation. From the first Hebrew warrior to the Israel Defense Forces of today, we trace the fighting heritage and history of the Hebrew warrior. We examine the modern Israeli close quarter combat system; Krav Maga, analyze its components and attributes and why it is sought after by security forces worldwide. 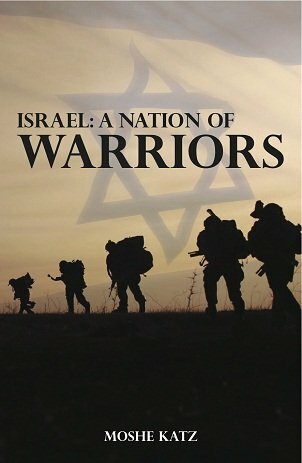 "Israel, A Nation of Warriors" takes a look at the society that has produced a military, security system and everyday civilian/warrior heroes that have amazed the world.